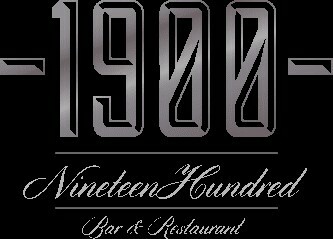 1900 Restaurant, Harcourt Street's Hidden Treasure where you can enjoy a fusion of mouth watering dishes in our relaxed informal setting. Come in and enjoy the full 1900 dining experience .Our fish, chicken, duck and lamb are selected by our head chef from quality assured Irish farms whose origin is quoted on our seasonal menus. Why not try one of our signature steaks matured for a minimum of 28 days to ensure maximum flavour and tenderness chosen by our master butcher Harry Buckley who also ensures that we use only 100 percent Irish Hereford beef. We work with a limited number of wine suppliers who visit the winemakers to ensure that each vintage of our impressive range of wines has been carefully chosen from grape to glass. Our extensive range of cocktails are expertly mixed by our team of mixologists who use the best ingredients to produce outstanding drinks that are not to be missed . Call in and experience first hand why we are Harcourt Street's Hidden Treasure . Had a really nice evening- early bird menu on a Thursday, not many in the restaurant so atmosphere a little on the quiet side but excellent food and service. The portions were very generous and the staff were very friendly, attentive  and welcoming. The early bird is one of the best in town in terms of quality and value for money. Will definitely be back! Very pleased with the whole evening experience - not my first, and it won't be my last. For intimate and discreet dining, the table under the stairs is a fantastic location. A Hidden Treasure indeed - all our guests, on this and previous occasions, have been very pleasantly surprised: none of them knew the 1900 existed, and they went away happy. Had a great meal here. I’ll definitely be back. 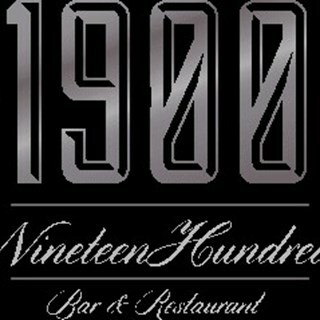 The 1900 ensured that a great night was had last Saturday for a family birthday celebration. The food, service and atmosphere were great and I can’t thank Kevin and his team enough. The little touches eg personal menu were really appreciated. I’d highly recommend it for a group night out. Staff were extremely helpful, kind and professional. Food was delicious. They even brought us a complimentary glass of prosecco. A little bit pricey but no more so than other restaurants in the area. Lovey new menu and friendly service. Wonderful New Year's Eve meal - staff were friendly and efficient, food was delicious and special mention to the musician who was very impressive! It was our first time to visit your venue for a Christmas work party. We were all very happy with the service provided and the food was excellent. Plenty of choice for all and it was very good value for the cost of the set menu. Beautuful early bird meal with lovely staff and atmosphere. I have been here 3 times in last 2 months, I love the food, price, location and ambiance. Great staff, brilliant communication,strong recommendations. We went here for our Christmas party. We were a party of twenty five and the service and staff were excellent, ensuring we all had a great night. Food was delicious and the atmosphere was great too ! Thank you for making our party such a great night ! We had a great work Christmas dinner at 1900. The food was fantastic and the staff were very welcoming and looked after us extremely well. I would highly recommend going there. Lovely food. Friendly staff. Good value. Wonderful  and memorable evening at 1900 - service and food first class. The pianist added a classic touch. Thoroughly recommend and hope to return at some stage. Good food, excellent service in a cosy atmosphere!